In this day and age, staying on top of the latest developments in adult male health care only requires two things: (1) access to the Internet and (2) the time it takes to research topics such as what does testosterone cypionate do for men with symptomatic male hormone deficiency. Even if you have been a faithful follower of healthful principles and been rewarded with consistently good health in adulthood, health issues like testosterone deficiency symptoms can develop regardless of how diligent you’ve been about maintaining your fitness and vitality. So if this is what has happened to you, what can the doctor prescribed and supervised use of testosterone cypionate injections do for you? It can enable you to hit the reset button on your body’s available supply of the hormone that fuels your sexual energy along with many other of the essential biological functions that keep you healthy, strong and focused throughout your maturity. A correctly prescribed and managed testosterone replacement therapy (TRT) program that utilizes injectable testosterone cypionate treatments is a medical solution to an increasingly common problem that men across the US are facing as they age – the problem known as Low T.
Having Low T levels can affect men very differently; for some men, the symptoms of testosterone loss are mild and manageable while for others, the symptoms can be devastating to both their overall physiological vitality and their emotional wellbeing. For those men, the answer to what does testosterone cypionate do is nothing less than give them back their quality of life. A safely and medically replenished male hormone supply is like having a new lease on life for men who have been struggling to enjoy life while dealing with chronic Low T symptoms such as the lack of sexual interest (often tied to the inability to perform in bed); extremely low energy; stubborn excess body fat; the loss of muscle mass and tone; and a reduction in your mental sharpness. When symptoms like these have been reversed and even eliminated through the use of a medically prescribed TRT, it’s no wonder that so many men feel as though they’ve been given a second chance to truly enjoy the rest of their adult lives. That’s quite a reward for making the effort to restore their inadequate male hormone supplies, especially when Nexel Medical offers adults across the US medical procedures for locally available treatment that were created by our doctors to be as effortless as possible. Do the Benefits of Testosterone Cypionate Injections Last? Some of today’s health updates are downright frightening; who wouldn’t feel somewhat anxious about the discovery of deadly superbugs that are resistant to every known antibiotic drug and other potential public health hazards? Fortunately, there seem to be more positive health discoveries than negative ones, including the scientifically established wellness benefits that are the proof of what does testosterone cypionate do for men who require Low T treatment. And the diversity of the benefits provided by using TRT allow men to eagerly look forward to their future decades of vitality instead of looking back at their lost vitality with regret. The benefits provided by testosterone cypionate injections last for as long as you continue your medically supervised use of this treatment. Most men know that Low T therapy can provide a much-needed and substantial boost to their sexual lives well into their maturity; however, many of them are surprised to find out that it can also prevent them from developing age-related health problems such as osteoporosis, diabetes and heart disease. The use of this treatment restores energy and stamina; produces visible improvements to muscle mass; helps to reduce excess belly fat; improves mood and cognitive function; and helps to sustain your bone density. As a form of male hormone replacement therapy, the use of injectable testosterone – whether it is the cypionate version or the enanthate version – typically requires the lifelong use of on and off treatment cycles in order to maintain free testosterone levels within any individual patient’s healthy and beneficial range for their age and condition. If you have been concerned about any long-term effects that have been associated with what does testosterone cypionate do to an adult’s physiology after years of controlled medical usage, no clinical evidence of potential risks to health have been conclusively established after decades of use by adult patients. Does Using Testosterone Cypionate Cause Any Side Effects? Some people profess that they are never afraid to try something new, but most of us proceed with varying degrees of caution whenever we are trying something for the first time. And as in any form of medical treatment or therapy that involves the use of prescription drugs and/or controlled pharmaceutical substances like injectable testosterone cypionate, it is smart to be informed about possible side effects before starting. In fact, at Nexel Medical, we believe that the more our patients learn in advance about all aspects of their Low T treatment, the greater their chances for reaching their therapeutic goals. Research indicates that what does testosterone cypionate do (along with other forms of prescribed androgen) is to possibly exacerbate these conditions. Furthermore, adults using a topically applied form of male hormone replacement therapy must be careful not to cross-contaminate through contact anyone who could be negatively affected by being exposed to pharmaceutical testosterone. This includes pregnant females; nursing mothers; and all children. Knowing about these possible effects and contraindications in advance is the best way to avoid any unwanted consequences caused by using TRT. How Is Testosterone Cypionate Injection USP Prescribed? In the US, every type of testosterone replacement therapy must be doctor prescribed for patients who have been clinically verified by means of a diagnostic blood test to have a symptomatic form of male hormone deficiency. So at Nexel Medical, testosterone cypionate injection USP (United States Pharmacopeia) is prescribed in accordance with the correct medical guidelines that have been established by the US medical community and enforced by US federal drug regulations. The procedures for Low T testing and treatment that we use are the medically recommended and established ones; but what makes them innovative and timely is that all US adults can access them online and receive their treatment locally. When you contact Nexel Medical, either through our website or by calling our toll-free number, one of our clinical advisors can schedule your testosterone blood levels test at a clinical testing facility located in your area. A local medical exam, if it is determined that you require one because you have not had one performed recently, can also be scheduled for you with one of our physicians located near you. These are the required preliminary steps, along with submitting your medical history to us (you can use our easy online form for this), and they can be accomplished easier than ever by making just one phone call and using our digitally assisted procedures. 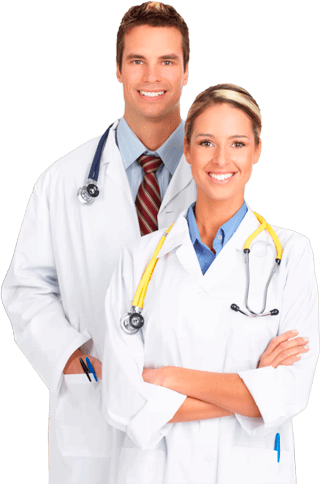 When you receive a diagnosis of testosterone deficiency from the doctors at Nexel Medical, you will also receive a treatment recommendation and prescription that is based on your individual requirements for hormone replacement therapy. With your valid prescription, you will then be able to conveniently purchase your prescribed treatments online through as well. But you can also get additional information on the topic of what does testosterone cypionate do for adults with Low T, or any other aspect of using male hormone replacement therapy that you would like to learn more about. Our clinical advisors stay on top of the latest news and developments regarding TRT; they are always happy to share that information with you and can also answer all of your specific questions. If your healthful lifestyle principles need to be updated because of the stage of adulthood that you are now in, contact Nexel Medical – we’ll help you to stay current with what’s going on in the medical field of male hormone replacement therapy.